The image of a white sheet suspended in thin air, in the shape of a human body, is the most recognisable ghost iconography, the world over. 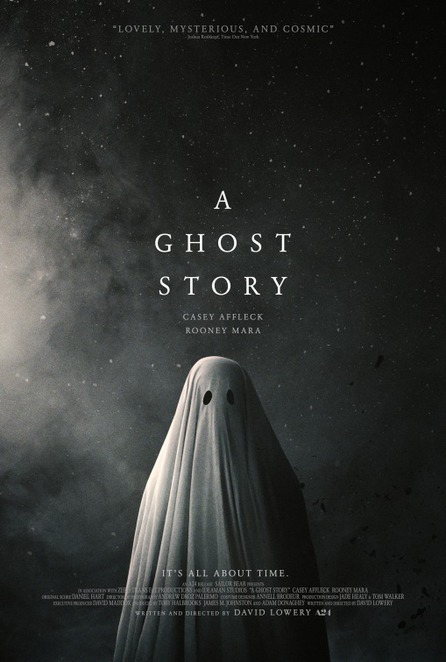 David Lowery, film writer and director, has capitalised on the cultural associations of ghosts and hauntings, to create an enigmatic aura for his latest offering, A Ghost Story. Like a spectre moving through space and time, this film is hard to pin down. As a reviewer, how do you describe a film unlike any you have seen? There is no point of reference with which to draw comparisons. I could cross-textualise with Lady Macbeth, another of this season's 'outside the box' offerings but with A Ghost Story, there is no forerunner. Lowery's greatest achievement with this film, is its originality. It is odd, yet it is strangely compelling. Any other movie this still and laboured, would easily become boring but with Lowery's tender loving care, it holds together in even its most absurd moments of ghost telepathy. For me, the film only loses its way in the final act, before getting back to the point it was trying to make in the first place. This is not mainstream film fodder. Though still unclassified in Australia, I would only recommend it to more artistically-inclined cinemagoers, of a certain age. Having experience of love, loss, grief and your own mortality, is almost a prerequisite. These are the lofty themes taken on by the film, and it's a highly ambitious endeavour for 93mins. Lowery almost pulls it off with a heart-wrenching portrayal of what it is to lose a loved one. His story provides a plausible explanation for the theory of spirits who fail to 'pass over', after being wrenched prematurely from life. The problem is that Lowery then introduces the big questions of the universe and existentialism, only in the last third of film. His screenplay embarks the Ghost on a hurried time-travelling odyssey, which skips through a few random points in history. The story only seems to get back on track in the last moments when the Ghost comes full circle in his quest for closure. See what I mean by hard to pin down? In terms of plot, the film tells the moving tale of a married couple, C (played by Casey Affleck) and M (played by Rooney Mara). Their deep love is tested by a difference of opinion in whether to stay or go from their rented Texan farmhouse. In the midst of this friction, C's life is tragically taken in a car accident and M is left to deal with the emptiness and regret of losing the love of her life. Missing (what I interpreted) as a small window after death when his spirit could have 'passed over', C is destined to return to the farmhouse to watch on helplessly, as M struggles to come to terms with her new reality. 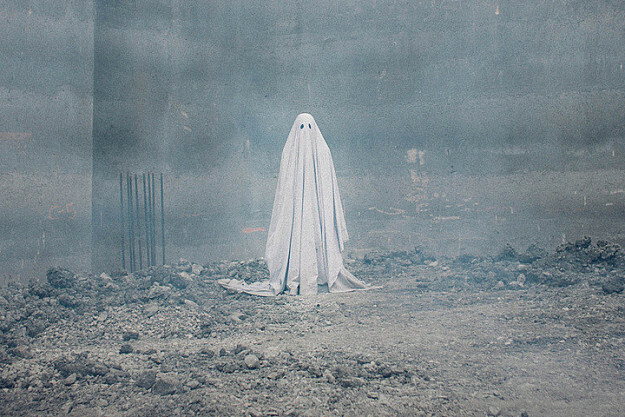 C's Ghost is trapped in a kind of limbo or purgatory, which becomes the rest of the film's concern. I can see why Lowery was keen to reunite the cast from his film Aint Them Bodies Saints. Oscar winner Affleck and Oscar nominee Mara, carry the weight of the interminably long scenes, remarkably. Mara, in particular, makes even the most mundane, 'real-time' activities compelling and filled with pathos. When we lose the anchor of Mara and Affleck's characters on screen together, the film loses the glue that holds it together. This might also be a deliberate move from Lowery. When separated from M, the Ghost must fend for himself. He must somehow deal with the endlessness of time and his role in it, now that his reason for remaining on earth is gone. A Ghost Story is an interesting study in the immediacy of human emotions in the present, versus the insignificance of our lives, in the grand scheme of things. It is receiving high praise from critics but it also needs to be accessible to an everyday film audience. I'm not sure it can be. I'd best describe it as one for a rainy day at your local independent cinema. It's intense, emotional and thought-provoking but not completely satisfying. In the tradition of ghost stories, it might leave you with more questions than answers. Sounds like Ghost is not one for me!